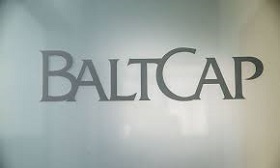 BaltCap, the largest private capital fund manager in the Baltic states, and Japan's fund manager JBIC IG Partners are setting up a new 100-mln-euro fund for investments in deep tech firms in the Nordic and Baltic countries. JB Nordic Ventures, a 50/50 joint venture between BaltCap and JBIC IG Partners, will focus "on early stage investments into ICT/deep tech sectors, including autonomous mobility, digital health, AR/VR/MR, artificial intelligence, robotics and IoT," the Baltic company said in a press release on Wednesday. "The fund investors will include large Japanese technology corporations like Honda, Omron and others." it said. "The fund will utilize global network in Tallinn, Stockholm, Helsinki and Tokyo and plans to start operating in the first quarter of 2019". BaltCap says it has already invested in more than 70 Baltic-based companies. Its portfolio companies posted 615 mln euros in combined annual revenue last year. JBIC IG Partners is a fund management firm established by Industrial Growth Platform, an investment company founded by Japan Bank for International Cooperation (JBIC) and 19 privately-owned firms.